Q. What should i wear on my first class? On your first class you should wear comfortable sports clothing. Jewellery should be taken off where possible and hair should be kept neat and tidy. All members are encouraged to shower before their sessions and wear deodorant. All equipment is supplied by the Academy. All that you need to do is come in ready to have a great time. Q. How the timetable works? The Marrickville (Headquarters) timetable can be viewed showing all 120 sessions or alternatively choose the age group and days that you prefer and our filters will give you all the classes that suit your needs. AMA encourages all members to attend classes as regularly as possible and the flexible timetable means that you can change your class times and days to another suitable class time or day without notice. That being said a regular class time and day is recommended to ensure healthy habits and routine can be set up where possible. Q. When is the best time to get started? At AMA we have a 52 week curriculum and do not work in terms (I.e school terms) which means that you can start at any time. Everybody begins as a white belt, learning the basics and improving with each and every session. The sooner that you can get started the sooner that we can help you to reach your goals. Q. How do i know if my child is ready to get started? Over the years we have recognised that lots of parents worry that their child is too young or too unfocused to do martial arts. Being operating for over 35 years, we know the skills that your child should be developing and have the patience and expertise to know how to help them to develop these. Ultimately if your child doesn’t have the concentration, focus or co-ordination that they need this is the place to help them to develop the skill in our safe and friendly environment. The sooner they can start practicing these skills the better prepared they can be for school and beyond. Q. How many classes per week should i or my child attend? 1. Fitness, physical strength and flexibility. The more that you can practice the faster that your results will be in regards to training responses by your body. 2. Confidence – On your second lesson for that week, this will mean that you get a chance to practice all of the skills that you completed in your first session for the week and notice your improvements. 3. Skill acquisition: the first time you experience the skill you will pick up the basic components and in subsequent classes for the week you will pick up the finer details of the skill. Q. Am i too old or unfit or uncoordinated to get started? One of the best things about doing martial arts is that it is an individual sport with the onus on self improvement and enjoyment, meaning that you can take everything in your own time and that their is no rush to do anything other then have fun and give it your best. Q. Can i make up missed classes or change classes? AMA offer one of the most flexible timetables out there to help their members make it to class as often as possible. Members are able to change their class times and days to suit their needs and catch up classes can be completed in subsequent weeks simply by logging in as they come for classes at no extra cost. Martial arts classes typically cost about $14-21 per session depending on location, inclusions and number of classes and number of family members attending. All equipment is provided for classes and access to curriculums and training videos are included in our online learning portal for all levels of memberships. Q. How often should i attend? Like any sport the more often you can practice the faster you will pick up the results. 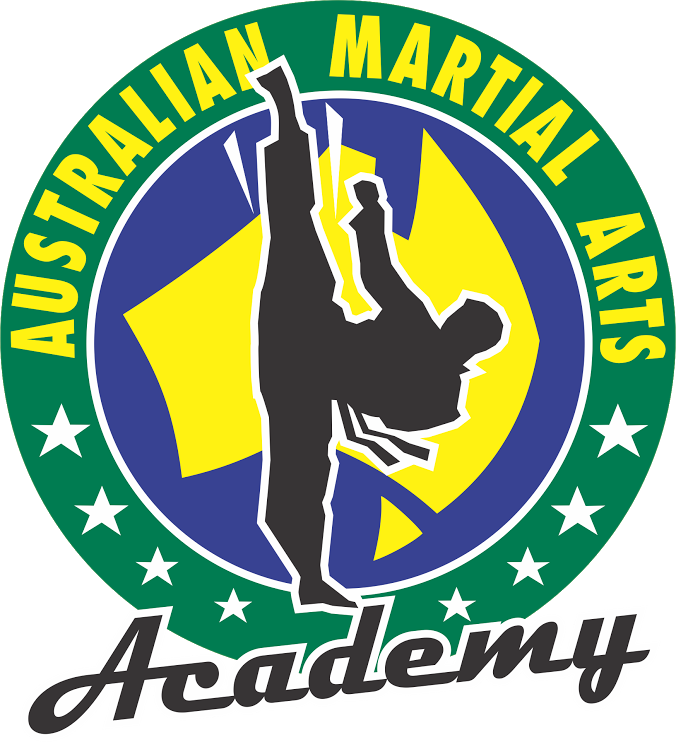 In order to get the benefits that come along with martial arts training and the confidence that comes along with seeing improvement in yourself or your child it is recommended by martial arts schools to attend a minimum of two sessions per week and at AMA there are a number of sessions where you can even do two classes on the one day back to back. Many members choose to do many more classes too. Q. Am i locked into a contract? At AMA you are not locked in to contract any longer then the one month notice period necessary for changes to payments. That is if for any reason that you wish to stop then you simply give a month notice as per terms and conditions and you can stop at any time. The only exemption is the the unlimited package which is a 12 month minimum agreement as there are $100’s of dollars of equipment given to you when you get started. Q. How does the belt system work and how do i progress through the belts? AMA belt promotions (or gradings) are a really exciting and fun way to celebrate your achievements in technique, fitness, discipline, focus and confidence. AMA belt promotions provide members with clear goals on how to improve and something fun to work towards. Dates are set at the start of the year so that you can prepare and get excited for your belt promotion and are held quarterly. Students attend a special ceremony where they showcase the techniques that they have built skills in during their classes. AMA supports students with a very clear curriculum of what they need to be able to achieve in order to achieve their belt, instructional videos that they can log in and watch to provide additional practice and a planned curriculum which systematically covers the components of grading. Once achieving the techniques required for belt promotion, students are awarded the next colour belt, certificate and medal on their journey to becoming a black belt. Belt promotions are not compulsory as we only feel that students who are ready for belt promotion should attend. We believe in setting our students up for success and setting realistic and manageable goals that individuals can tackle as they feel confident. Q. For the 6 to 8 year program and older. The belt promotion system is built upon the international governing body for Taekwondo – The World Taekwondo Federation which represents over 200 countries world wide and is an olympic sport. Beginners start as a white belt and the goal is to achieve all the belts towards a black belt and then dans. The highest belt in Taekwondo is a 9th Dan Black Belt which is held by our Grand Master- Grand Master Ridvan Manav. Belt promotions are held 4 times per year and require students to be able to complete set criteria and minimum requirements which can typically be met by consistent training in this time frame. Students are taken through the curriculums in their classes and videos are available which are all included as part of membership costs to help student practice in their own time also. Q. Little Dragons Belt system 3 to 5 years. Little Dragons have a minimum class participation number, kick, hand technique and lifeskill to master in order to move up to the next belt. When progressing to the Dragons age group they are assessed for the appropriate belt for their training. Q. Mini Dragons Belt system 18 to 36 months. Mini Dragons have a belt system based around the number of classes attended and particular skills. When progressing to Lil Dragons they are awarded a belt equivalent to their level. Q. What style of martial arts do i do? Skill: technique, control, muscle memory, focus and FUN! Q. Will my child or i get hurt? 3. Curriculums based on safe, appropriate contact with most of the session completely non-contact. 4. Trained instructors to support and help students to perform techniques safely. 5. Any student not respecting the rights of others to train without being hurt are reprimanded-expelled from the academy ensuring a safe and friendly training environment suitable for the whole family. 6.Separate training sessions are available for those wishing to have a larger amount of contact.